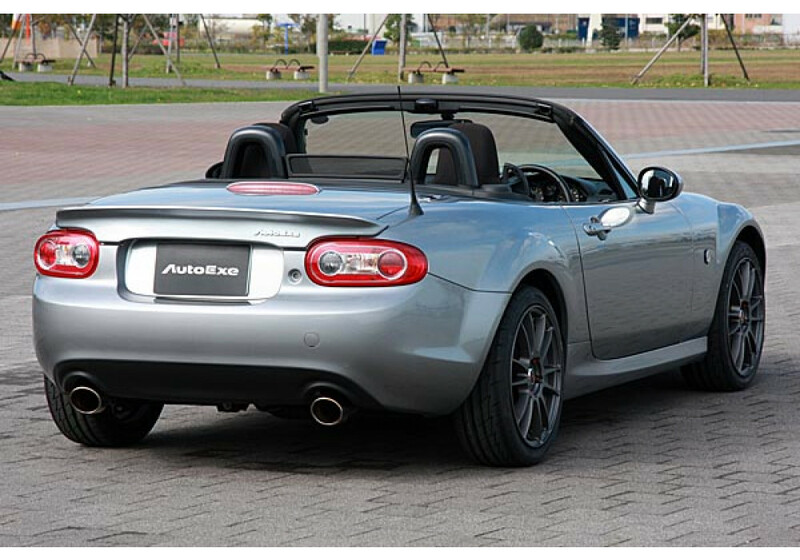 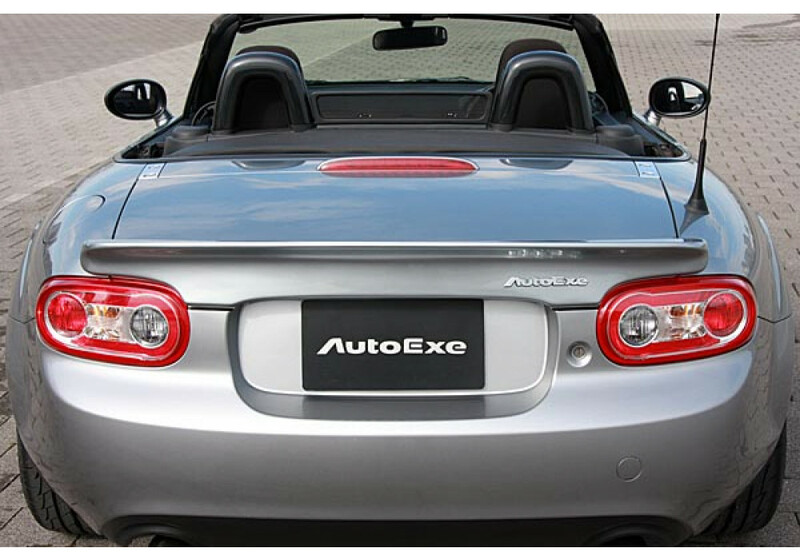 Spoiler made by Autoexe for a soft top and power retractable hard top (PRHT) version of the NC (2006-2015) MX-5. 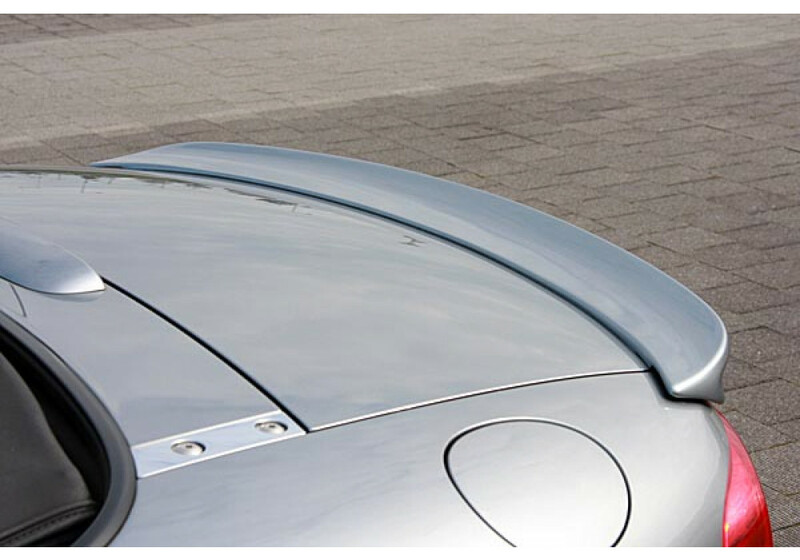 These are part of their NC05 design which is aimed at having a lightweight sports car look and subtle appearance. 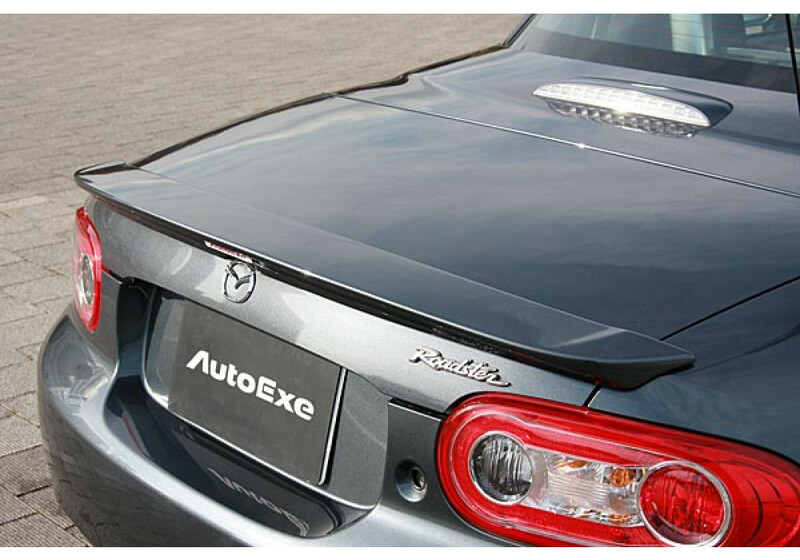 The spoiler comes unpainted. 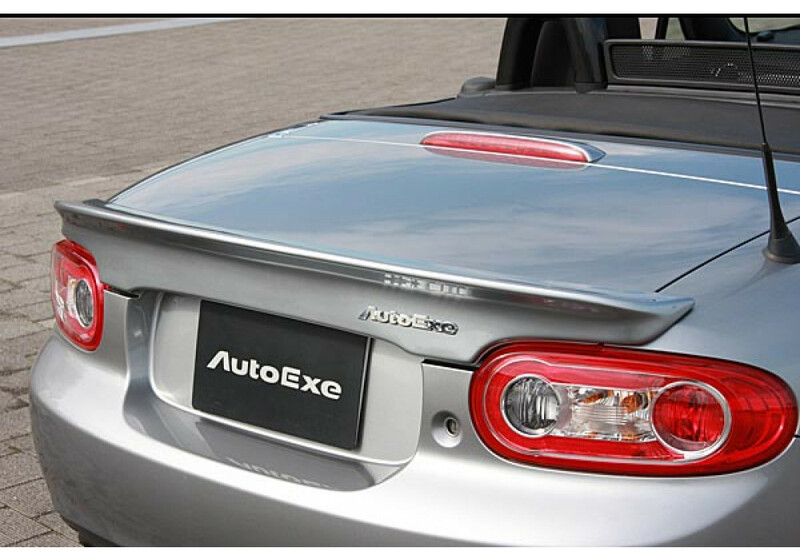 Please note that the PRHT spoiler comes with Autoexe sticker, but the soft top does NOT come with the Autoexe chrome emblem (sold separately). 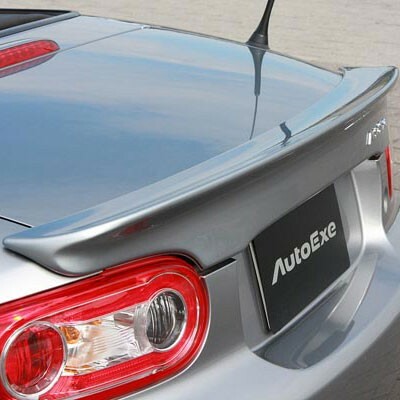 Autoexe NC05 Rear Spoiler should be ordered at REV9 Autosport https://rev9autosport.com/autoexe-nc05-rear-spoiler.html as they provide the best service and speed we've seen so far! 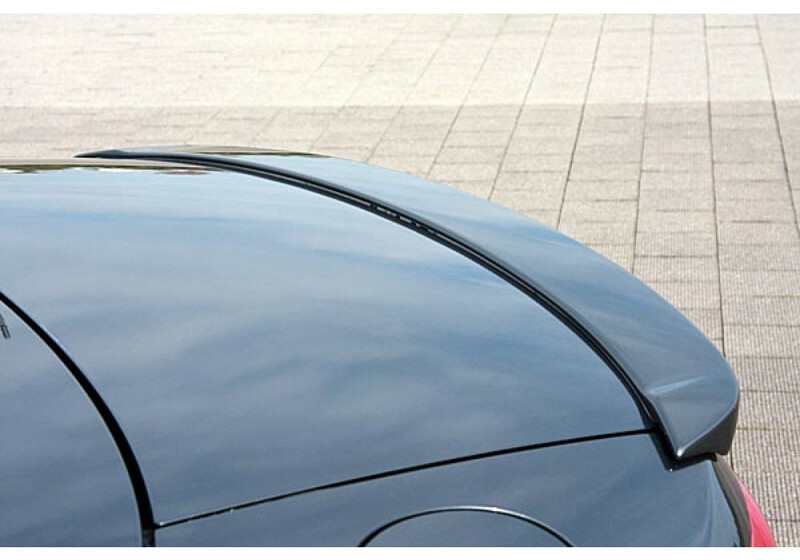 With regard to the PRHT rear spoiler. 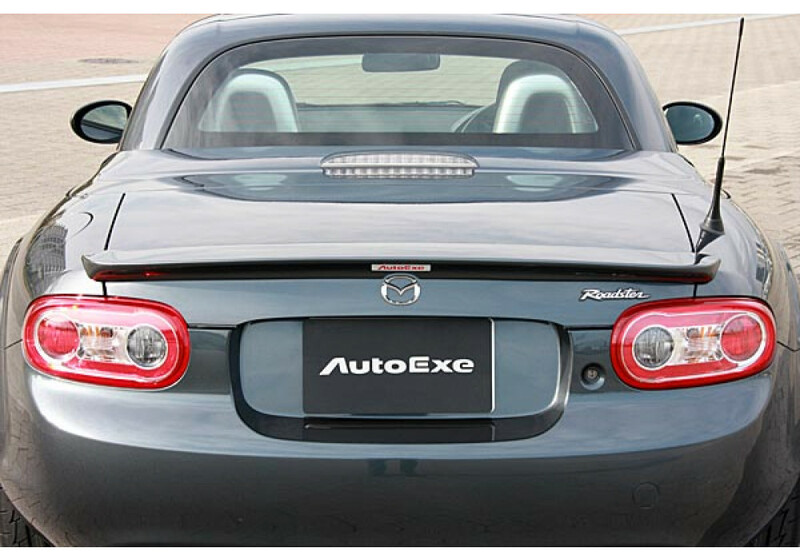 I was after a clean look and wouldn't therefore want to display the Autoexe sticker. 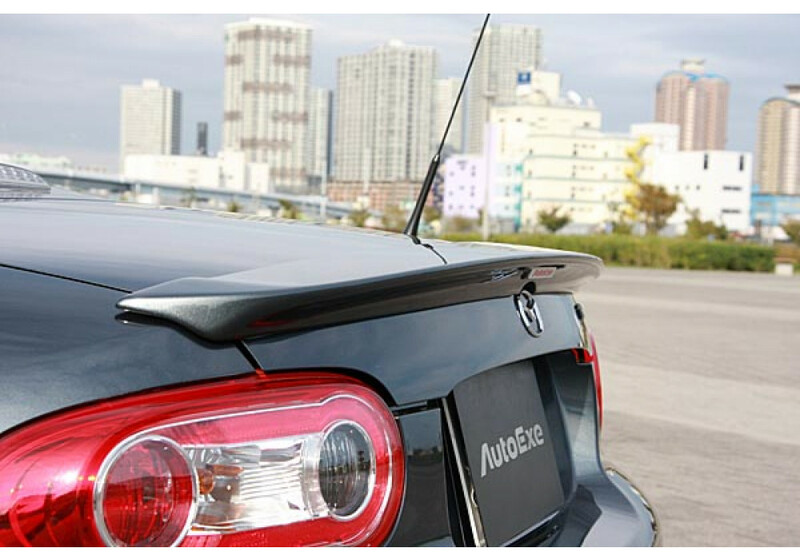 It's not clear from the photo is there a change in the profile at the middle of the spoiler that creates a flat area to mount the sticker on? 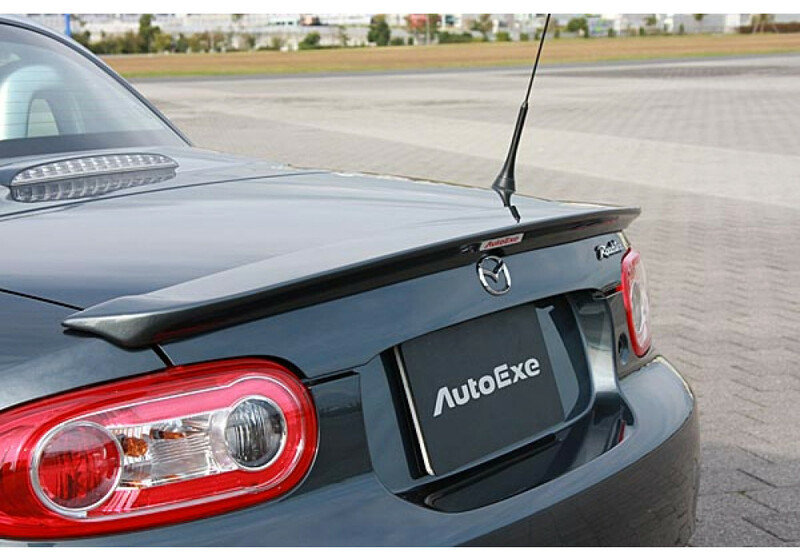 I'm concerned that if there is the spoiler would look like there was something missing if the badge wasn't displayed. 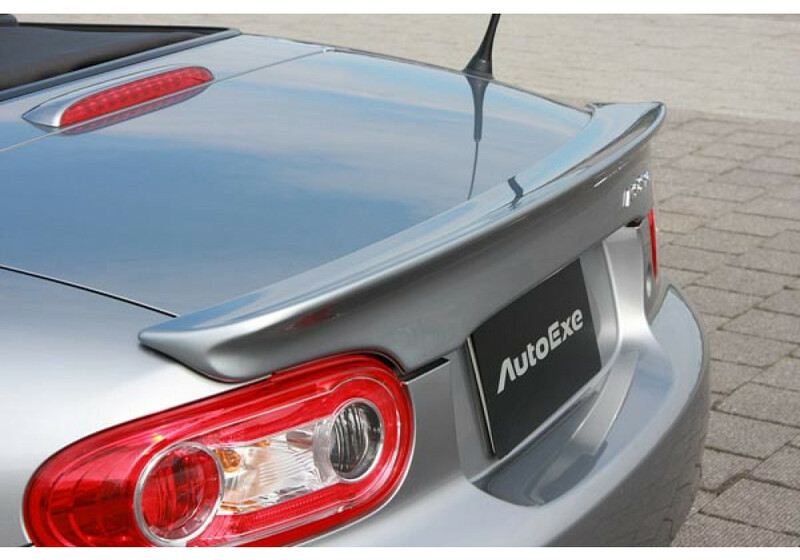 The NC05 Rear Spoiler for the PRHT comes with an embossed logo, if you remove it, there will be an empty square into the spoiler.